Looking to shop a beautiful sofa to create a special seating area just for your little ones to make them feel special? Furniture Chelsea is your perfect choice as we offer you a broad range of kids seating including kids sofas, sofa beds, futons, armchairs and bean bags to choose from. 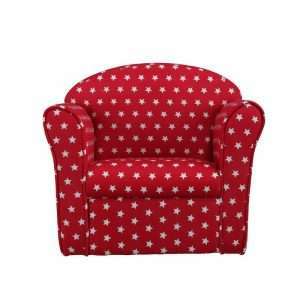 We have a huge selection of comfortable kids’ chairs and sofas that will look great in any room of the house. Our sofas and chairs are not only perfect for watching TV or quiet reading time but these seating options also provide your little ones a special place to unwind and relax in style. Our sofas and chairs are matchless, sturdy and functional, made with the highest standard. Available in a wide range of styles, shapes, sizes and colours, our sofas and chairs will be a great addition to your kid’s room.